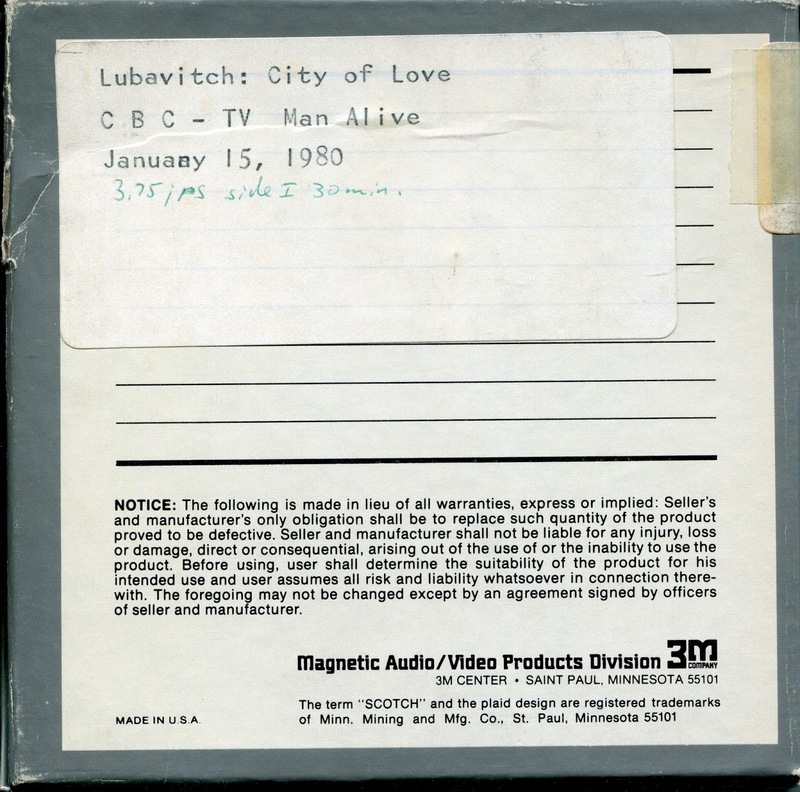 Hirshel: Have you seen this? They have a long article on a Rabbonim convention against the Pilsudski decree. They claim that the Belzer Ruv Reb Aron was behind the whole אסיפה even though he just became Rebbe. He maneuvered the whole Galicia to that big convention. They have a long article with not a single document to prove that it was all the initiative of Belz. 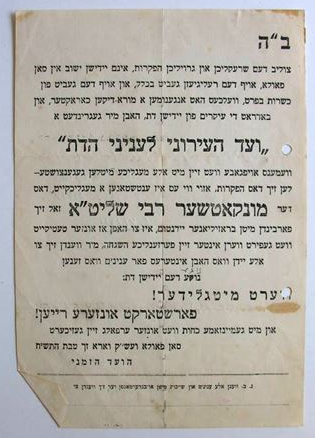 It seems more Reb Ben Zion of Bobov was one of the main leaders and spokesman for that event according to the documents. 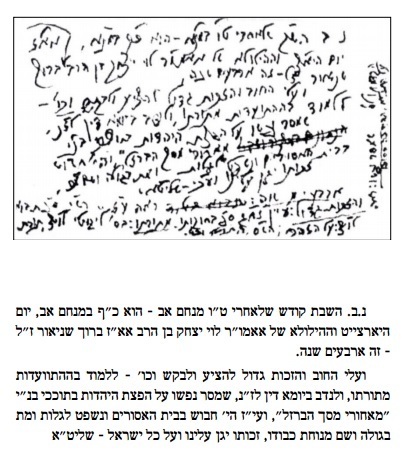 In the documents of the Rabbonim signatures u don't see Reb Aron, all you see is one Belzer signature of the Belzer Chossid the Tarnapoler Ruv. 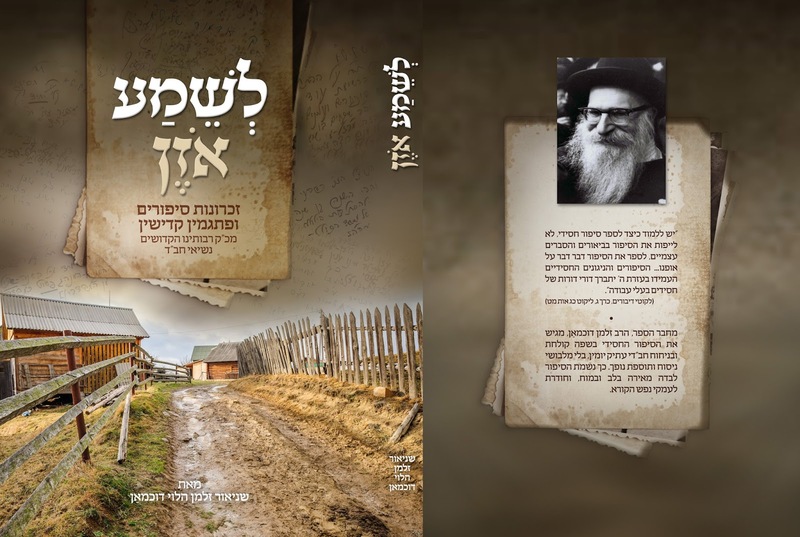 The only document they have that Belzer was the main focus of the event is by Pollak of Satmar, a staunch Belzer chusid from the infamous statement that Kook seforim and מנחת אלעזר are ספרי מינות. Nothing from Galicia. Just the opposite! 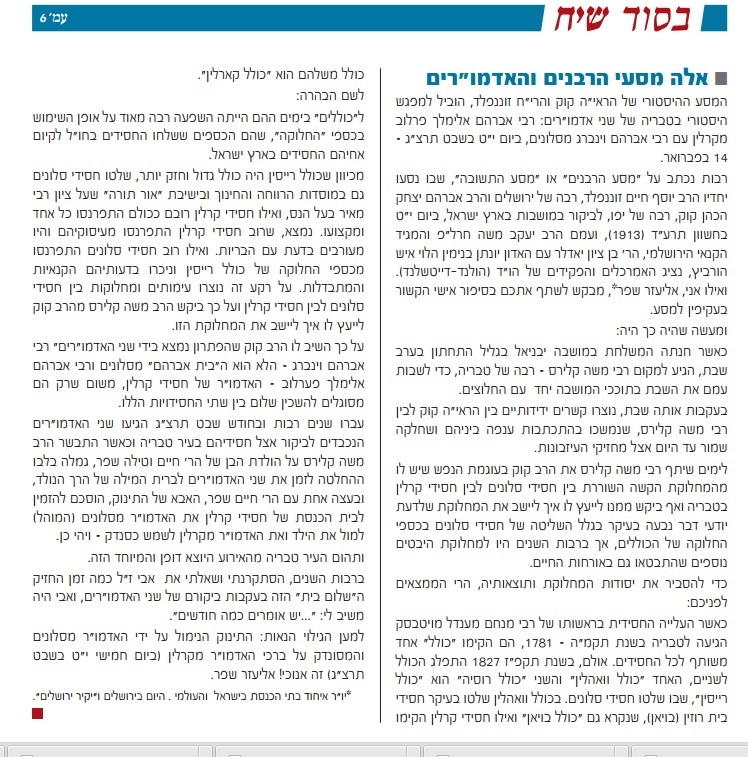 All the newspapers point to Bobov The fools are proud of an old Belzer chutzpah, that when the chusid arrived to Bobov to invite Reb Ben Zion to the meeting a bobover chusid asked the Belzer messenger: The Belzer Ruv is young and was just crowned as Rebbe where does he take the backbone to invite all older gedolim? In a typical Belzer chutzpah (that was belz from amol, where they were overloaded with confidence before they send 10 dayonim to KJ to ask mechila) he answered Vos heist? from the heavens! It's a bit out of character that of all people davka the Gorlitzer Ruv was ready to emigrate to the USA to bring back the masses to Yiddishkiet. It's almost unbelievable that he should feel such a deep responsibility for every Jew. And they paint him as such a kano'i all the time. As someone who was insular, the model for today's general charedi mindset. But it's printed, and we live and die by the printed word. And the fact that Tzedokoh takes care of the evils of Goyishe fashions? Now, that's something! 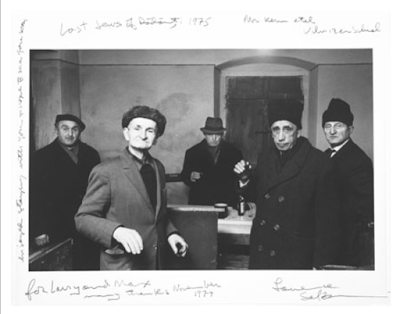 First there's this strange interest in French Jewry. They're not authentic-looking like the תימנים, so why care about them? They also don't think much of Satmar. So it's the Kaliver Rebbe that sounded the alarm. He's the one that traveled the world and saw these precious Jews, and he worries that once the make aliya they'll lose some of their will to fight. 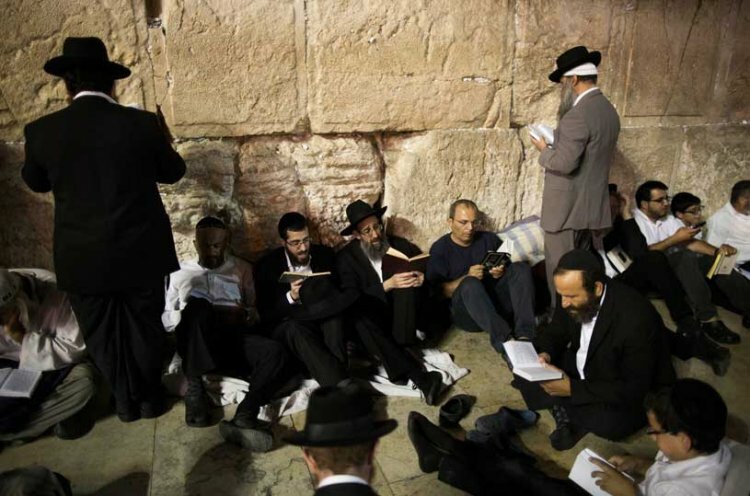 In the Holy Land we're all Jews, so it doesn't matter how religious we are. They might say. OK. At least the KR has some real concern for them; he doesn't do it out of a vendetta against the Israeli Government. And the Satmar Rebbe is taking the credit because of the Kaliver's illness. OK. SO they travel to Toronto - why davka Toronto? - to raise money for Chinuch Atzmai, so that the French olim that went to either Otzar haTorah or Chabad or other frum schools in France can continue to do that and not - chas veSholom - go to ממלכתי דתי schools. Dunno what kind of money they raised in Toronto, but it was significant. 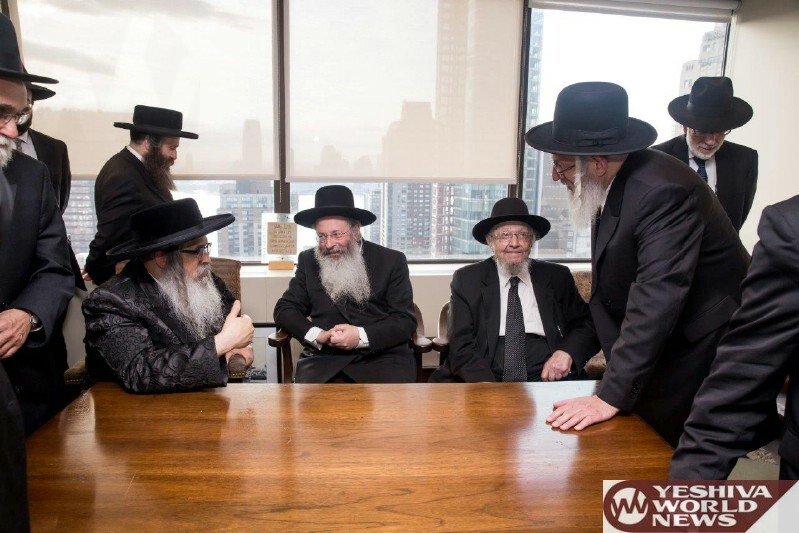 The entourage consisted of the Satmarer, R Malkiel Kotler and R Dovid Feinstein. A carefully choreographed group. Why RDF? 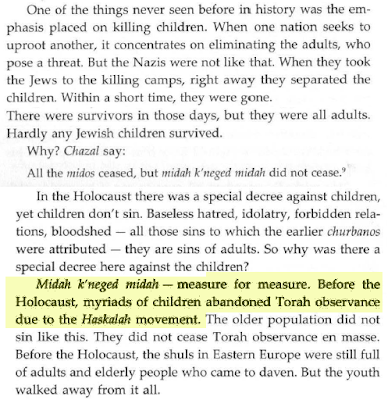 Maybe since R Malkiel is closely identified with the מחבלים faction of Lithuanians in Israel they were afraid that people would think that this was not REALLY an issue. 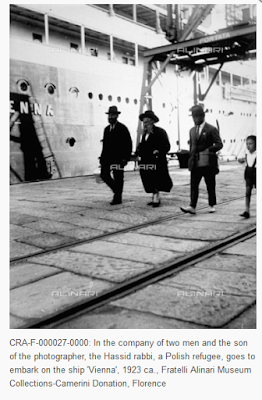 Then they came back to NY and started working on the oylem here. 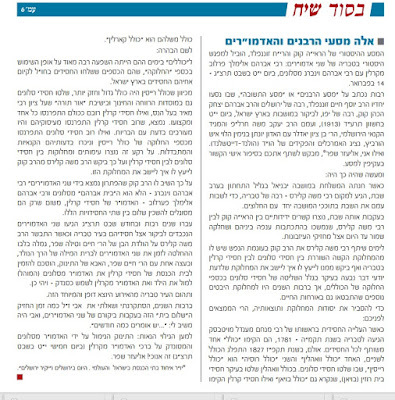 Stories in all Haredi publications, some week after week, including the Ami, which I found kinds surprising, since they're not supposed to be such alarmists. Then they started raising money here. The Satmorim were perplexed. They've been taught their whole life that Chinuch Atzmai is חינוך לכפירה. The כפירה of ציונות, of course. Which is THE worst kind. And here the Satmar Rebbe who is more closely aligned with the zealot faction is going around raising money for them. OK, he's not flying coach on a commercial airliner, but STILL! Most swallowed it, but some could not. Pashkevillen started to appear decrying the travesty. Demonstrations by a few zealots happened right outside Schron's offices in NYC. And being that Satmar that is a chassidus run by the people, not by the Rebbe, the upper management decided that they needed to act. This was one thing they didn't think through. But what were they to do? They already collected the money. They can't send it back now, that would be foolish and embarrassing. So some genius came up with a plan to use the money for schools in France or something. Maybe 'splain to the Frenchies that Israel is a terrible place where they beat Jews and cut their beards off in the army. That will change their minds and make them stay in jolly ol' France. All this time his brother in KJ is laughing all the way to New Hampshire. They wanted to get him involved but he said no. Even his friend Reb Malkiel couldn't convince him. Let them all go וואו די גרינע פעפפער וואקסט. Said he. Which goes to show you: Satmar and Chinuch Atzmai mix like Gin and Slivovitz. NEW! לשמע אוזן available again! 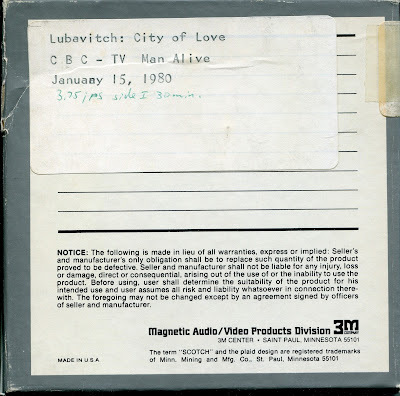 Available after being out of print for over 20 years. 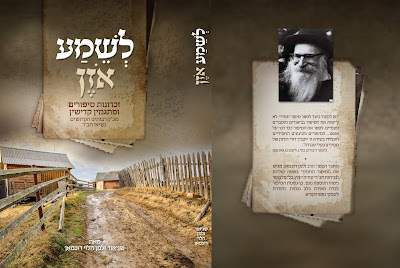 Over 500 authentic Chassidishe stories as recorded by Reb Zalman Duchman a”h. Translated into a clear Hebrew from Yiddish. Footnotes and references and background information. Over a hundred pages of new material with colored photocopies of the Rebbe’s letters and a new updated biography. In this sefer'l - compliments of the $1 table at Pinter's in BP - they have an article that was printed in the Belzer periodical אור הצפון about Reb Yitzchok Tzvi Ratzersdorfer, a talmid of the כתב סופר. A businessman. Having made a fortune from the diamond trade with Belgium he decided to move there. The traveling from Vienna, where he lived, to Antwerp was too much for him. His father was shocked, Belgium was then a מדבר שממה in terms of Yiddishkeit. 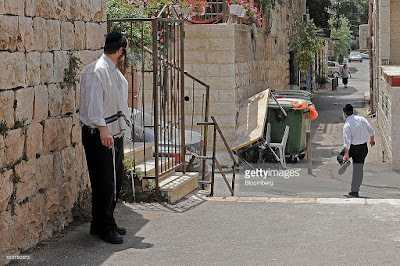 He took him to the holy Reb Chaim Sofer, בעל המחנה חיים, the king of all the kanoim, the Reb Chaim of Hungary, to ask him for his approval on his son's plan to move. Reb Chaim said: "Lech lecho, ואעשך שם לגוי גדול.... If you leave your parents' country, וועסטו דארט אויסוואקסען א גרויסע גוי. In other words don't go! So he stayed. 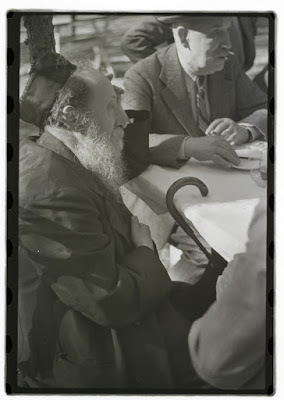 A while later Ratzersdorfer met Reb Chaim again. 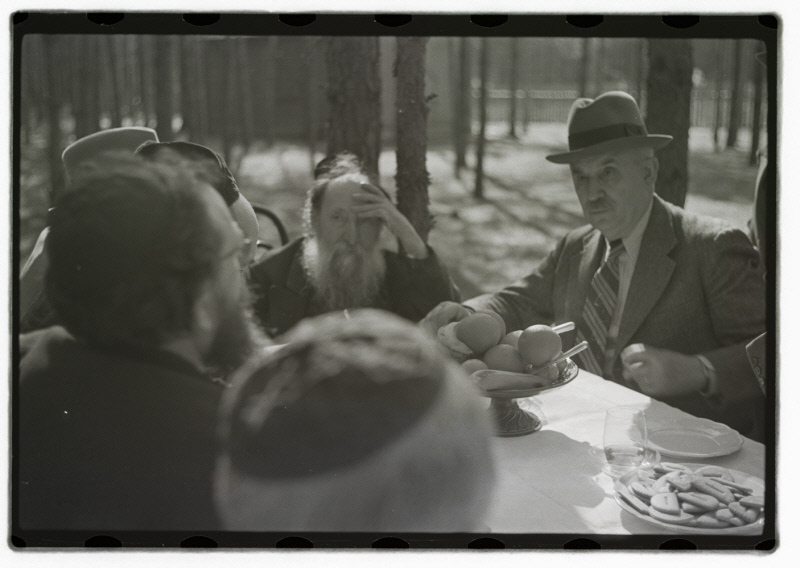 Reb Chaim asked him what were you thinking? to go live in a place with no mikvah? No kosher meat? No Chinuch for your sons and daughters? 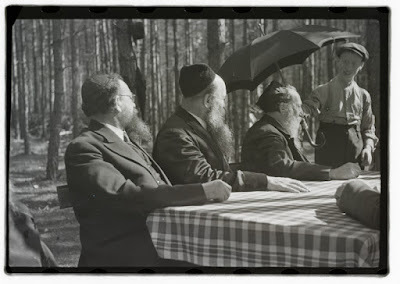 Ratzersdorfer answered humbly I will start with all religious matters from Amsterdam a few kilometers away, then I promise to build a kehilah there in Belgium. I'll bring a frum Rov, I'll build a mikveh, I'll build a Shul, and I'll bring an erliche melamed for my kids. The Rebbe will realize that I'll make everyone proud. I won't bring shame onto the family...Then Reb Chaim agreed that he go. At the same time he mentioned to Reb Shia'le Belzer Reb Chaim's argument against going. The Belzer Rov also agreed if he will do his master plan to build orthodox Jewry to Belgium then he can go. The rest is history. And it make such perfect sense too, right? 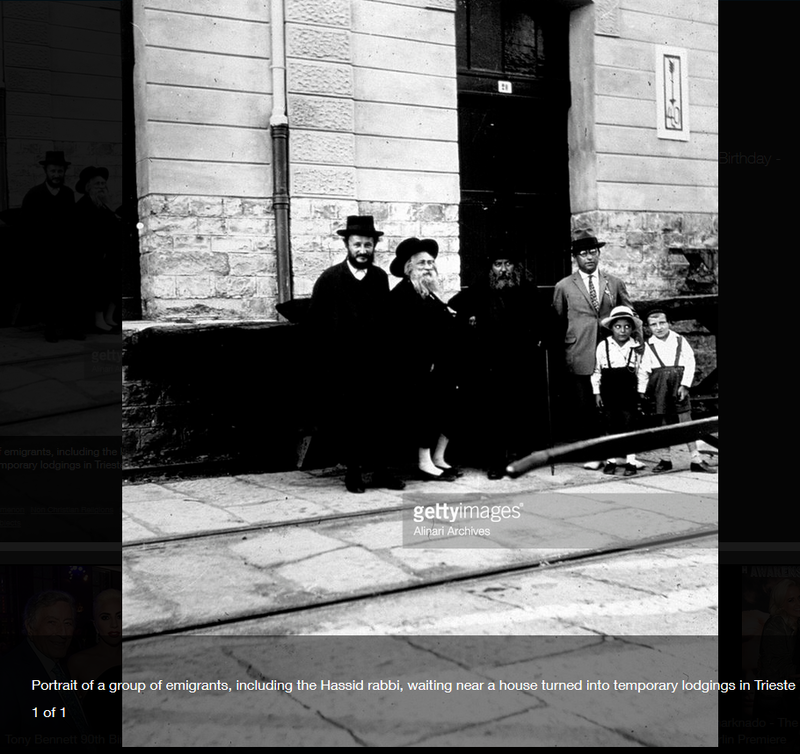 I mean droves of two and three year olds left Yiddishkeit due to the Haskoloh and Zionism, right? They had a million and a half members of children in those groups, right? I think what's missing in this man's life was a bissel Chassidus. That way he would see that not everything has to make perfect sense to him. And that's what's most important in life is not that HE understand everything according to his שכל. And then he wouldn't say such things and publish them! I guess that's what growing up in America does to you. All that Hershey's chocolate and Entenmann's cakes gets to your head and heart. מטמטם את המוח ואת הלב. Your mind thinks such thoughts and your heart is too farshtopped to stop your heart from thinking such thoughts. Another Holocaust Museum in Boro Park? And told him His uncle Reb Moshe the Ruv of New Square gave cake and spirits in Shul the day he turned 70. 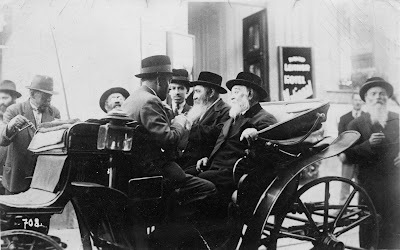 The holy Rebbe acts shocked. I wonder why he's so shocked. He doesn't know what his zeide did, and his father, nebach, didn't reach that stage in life, so why be shocked? Maybe it's a good thing? How many times have we proven here that many, many Tzaddikim celebrated - or at least observed - their Yom Holedes? Highlights include: Irving Bunim "twists" Reb Yoshe Ber's arm and gets him to speak despite telling him beforehand that he wouldn't. Reb Yosher Ber speaks of the extremists who tried to keep him from attending this dinner. I assume he means his friends in the Mizrachi? I'm surprised they publicized this video. I'm sure the more קנאות'דיגע elements among the Yeshivishe - even some of RAK's descendants - are not very happy. 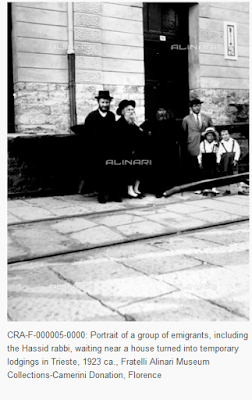 A little piece of history about the Stolin-Slonim cold war in pre-State Tiberias and how Rav Kook and Reb Moshe Kliers, darling of the zealots, got together to help end - albeit temporarily - an ongoing feud between the two Chassidic groups in Tveria. It's also a good story because it explains why the Slonimers afforded to be zealots. מ'רעדט פון ר' מאטל - נישט די נתיבות שלום און זיינע ציונים. You might say it was because they didn't work for a living and didn't have to face reality. They learned in Yeshiva Or Torah, got stipends from the כולל חלוקה, while the Karliner had jobs. Imagine that. Jobs. Can that have something to do with the Slonimer coming up with the phrase געמל'טע פערד on the Karliner Chasidim? It may pre-date that. The funny thing is they both come from the holy Reb Shlomo Karliner's cheder, so why fight? And as is usually the case, much of this kind of behavior happens today as well. Those who don't work for a living have all the time in the world for קנאות and solving the world's problems. Or you can chose to ignore this story because it comes from ציוניסטישע קוועלער. 1) The Crown Heights Eruv. 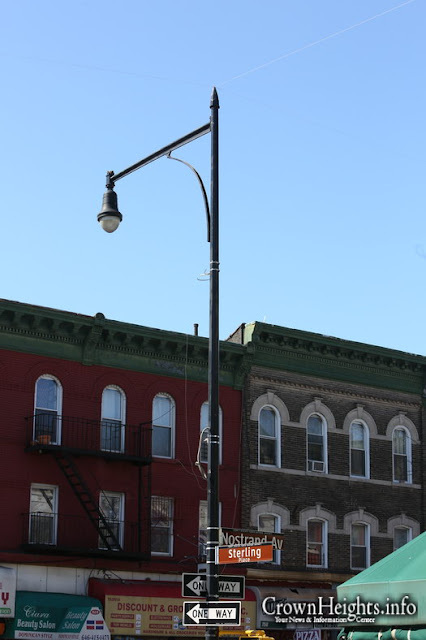 Is it about the eruv, really? Or is it a generation of young people who in general want life/Yiddishkeit to be easy. 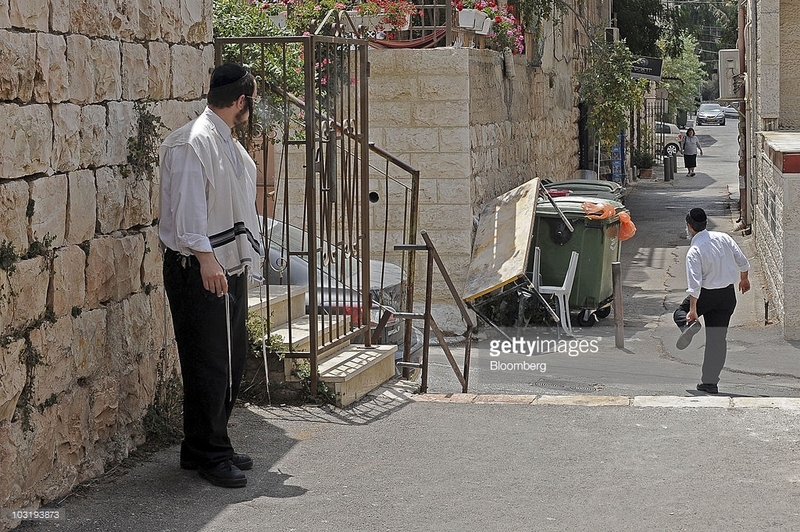 They say they follow the Rebbe's directives, but that the Rebbe, being the ultimate "nice guy," would definitely allow an eruv to be put up these days, since the women are holed up at home all Shabbos. Is the fact that they're doing this after decades of a status-quo a de-facto rebellion against the Rebbe? I guess we should be happy that they're trying to do things within the realm of Halochoh. 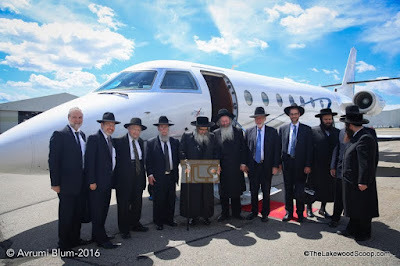 2) Reb Lazer Berland and his plight/flight. Not so much about whether or not he's guilty of the crimes that they accuse him, but more so the defense that his people put up for him. That the Tzaddik can be guilty of such sins and still be a Tzaddik. Something like that. His heavy avodah is beyond dispute, learning and davening. But who decides who's the Tzaddik of this Breslov generation? Meaning, his people say he's the Tzaddik and his actions cannot be questioned; but who told them so? (I never actually sat down and listened to a full-blown defense of him.) Or that this is all about them against us. 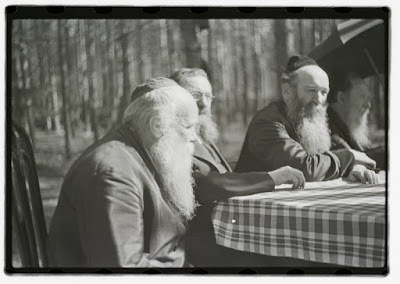 The Ashkenazi old guard of Breslov vs. the new-age Baalei Tshuvah/Sefaradim. That they never accepted him or what he did over the years, and now they're getting their revenge on him for "destroying" Breslov. The funny thing is that most of them are as new to Breslov as R' Lazer is. Most of them are stam Litvaks who couldn't take a living Rebbe so they took Reb Nachman. You had Reb Levi Yitzchok Bender and R' Michel Dorfman, but the rest? Were they not all tzugekummener? The real issue here is that the people pushing for change are not our friends. They don't have our best interest in mind. You might say that they have nothing but our downfall in mind. Will they be happy if all yeshiva kids get a HS/Regents Diploma? One wonders. And if so, if it's not our well being that they have in mind, how can we endorse their efforts? This is besides the fact that they paint all Charedi schools with the big, broad brush. 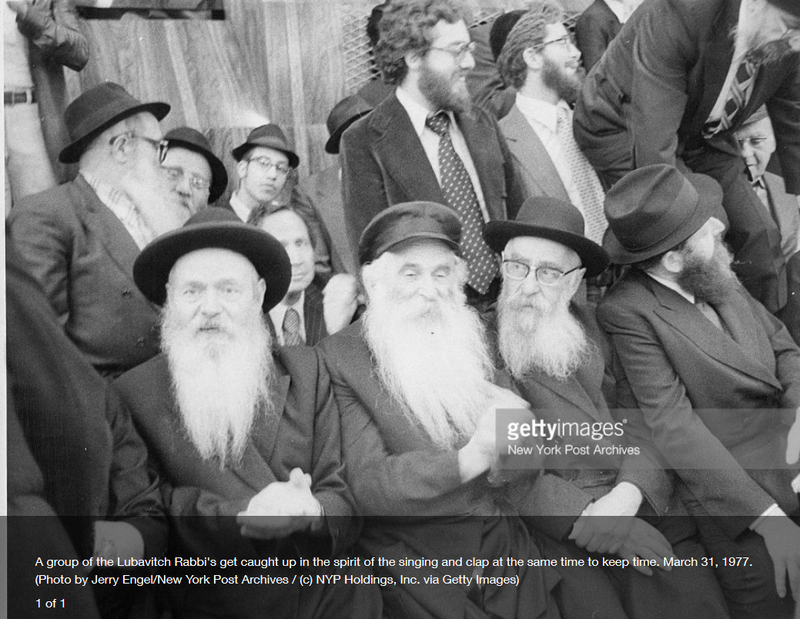 I also find it ironic that most of these guys - the guys that left the Haredi world - caught up to the big world, (as if the masses that go through the US education system are beacons of intelligence and understanding), despite their lack of education in yeshiva, so what's the big deal? Within a few years in the great, big world you can sound and look like any Bernie-loving hipster anyway! There are more, I just figured I'd put these 3 out there for now. And let's not forget the newspapers, magazines and websites that enable them.... With their fancy ads and recipes. Cheese dripping and melting ice cream. But then I started paying attention to the Artscroll ads ------------- The ads that make you think it's Chanukah in August. I think it's worse. A lot worse. Because at least with an ice cream or fish ad I know that it's about the food. And I know that they're trying to get their market share. With the Artscroll ad I am lead to believe that they're helping me mourn. REALLY mourn. Mourn interlinearly, transliteratedly, and any other which way. 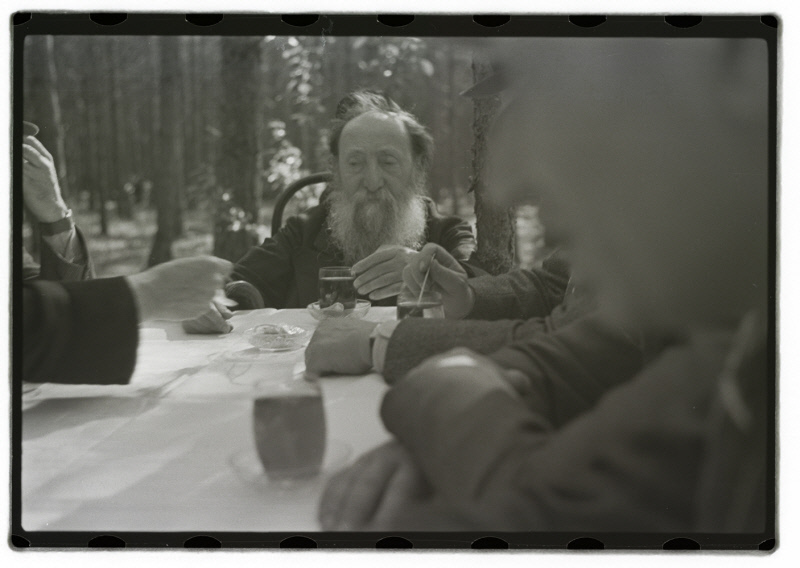 From Soloveitchik to Kanievsky, (Sorry, they don't do Soloveitchik) and anything in between. But it's not. Take your .75c kinos, and maybe buy a מדרש איכה with a פירוש. Anything else is just wrong. You can even learn הניזקין with the English Artscoll, but don't do anymore than that. If you do you're just a pawn in their evil chess game. Next to him is his shvogger the Bendiner Rov. I'm not 100% certain about the dates. Did the Imrei Emes visit EY in 1923? It sounds right, just not sure. We can look it up and verify. י"א ניסן תשל"ז...ווען וועלט איז נאך געוועזן וועלט, ווען ס'איז נאך געווען פון וועמען צו הערן א אידיש ווארט, ווען מ'האט.... You get the point. Oyyyy. 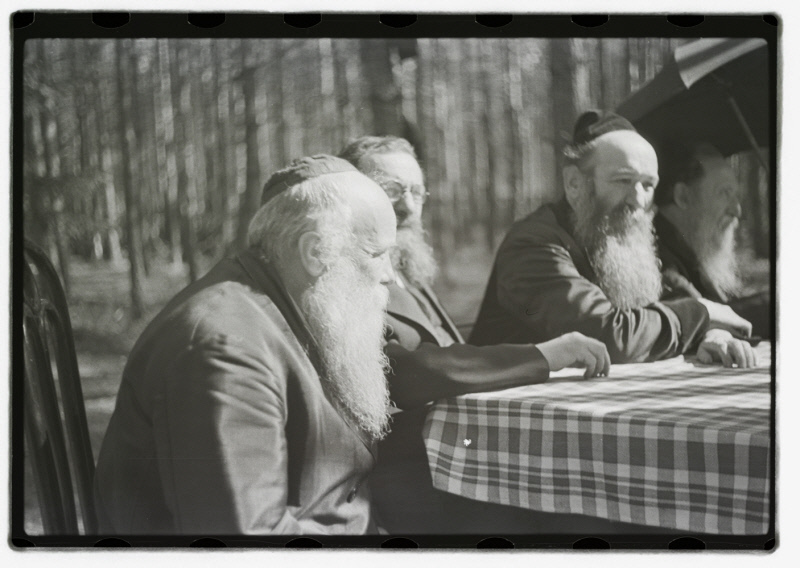 Top picture l-r sitting: Reb Uziel Chazanov, Reb Berke Chein, Reb Yankev Yosef Raskin, Reb Berel Baumgarten. 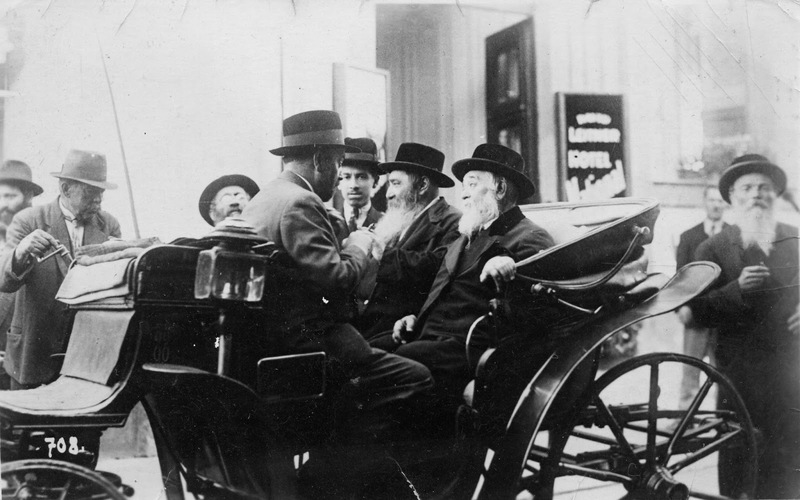 Standing Reb Yankel Lipsker and Reb Hirshel Kotlarsky. 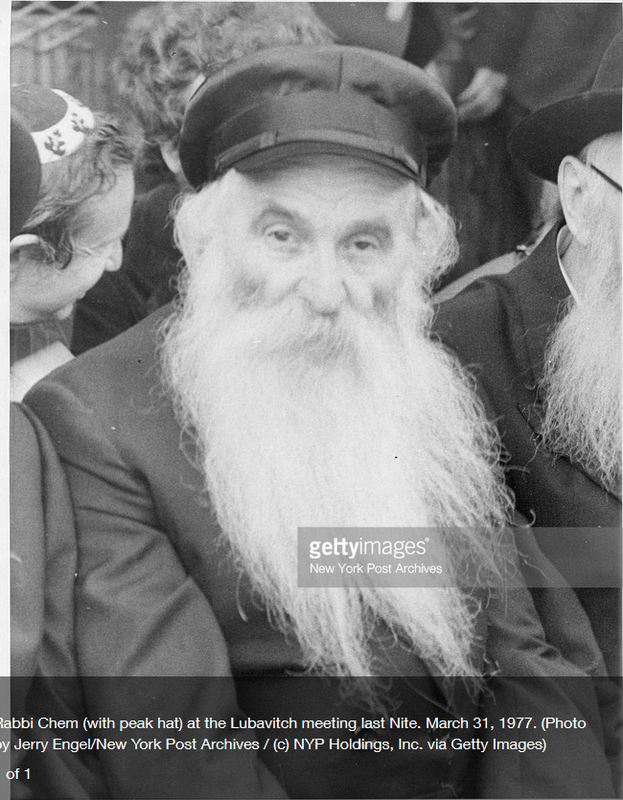 The Original Kiryas Joel was to be in the NJ Meadowlands?